There are two ways to deal with betrayal. Gary chose the high calorie option. 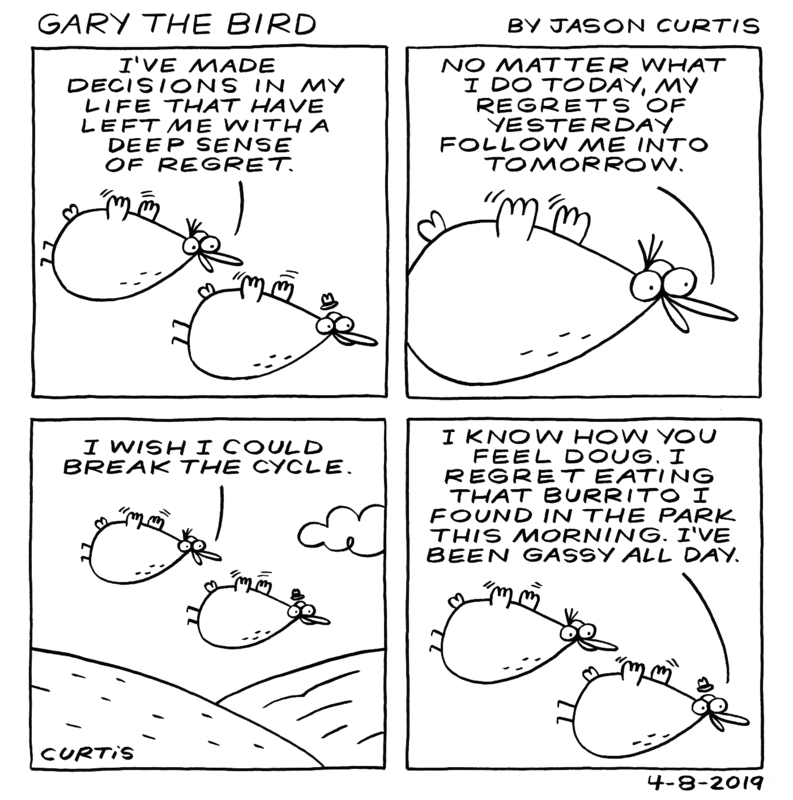 In Gary's defence, pizza is a terrible thing to waste. 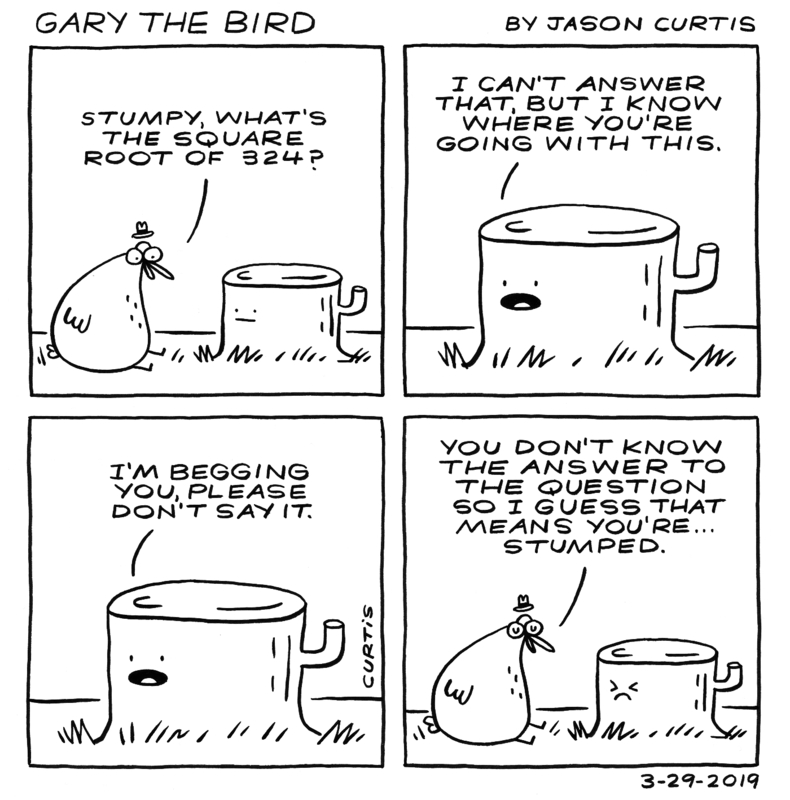 Stumpy has no plans to uproot himself. 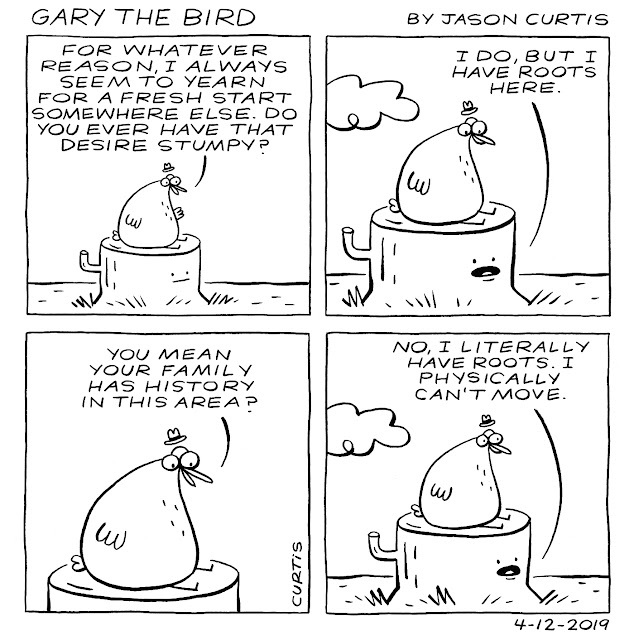 Stumpy is one of Gary's best friends, and also serves as a comfortable chair. 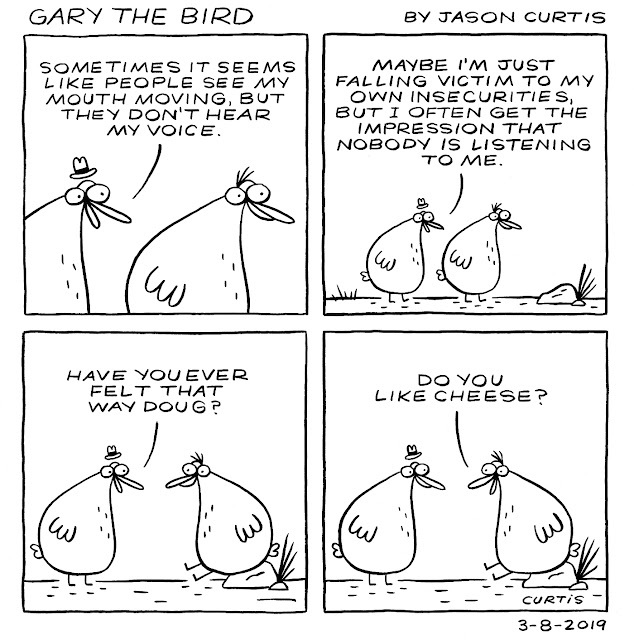 Hello...hello? 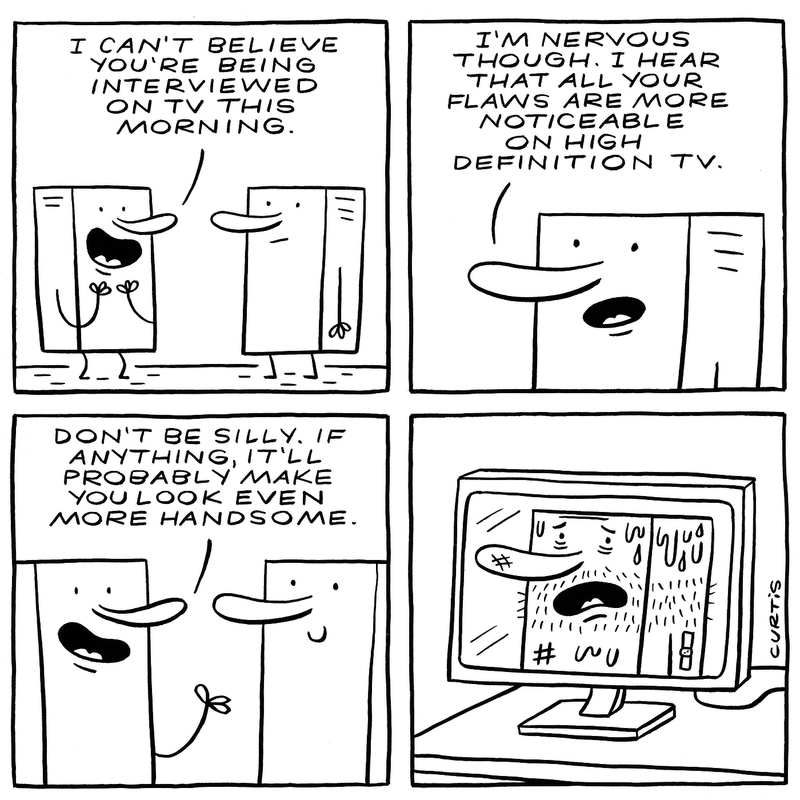 Is this thing on? 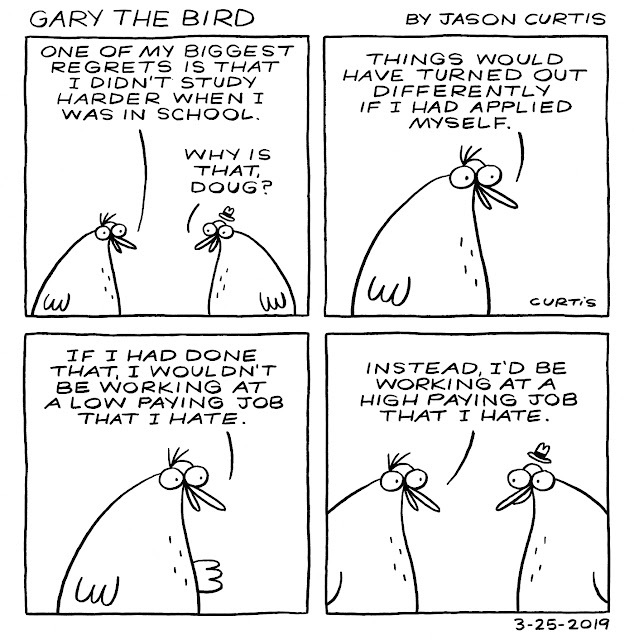 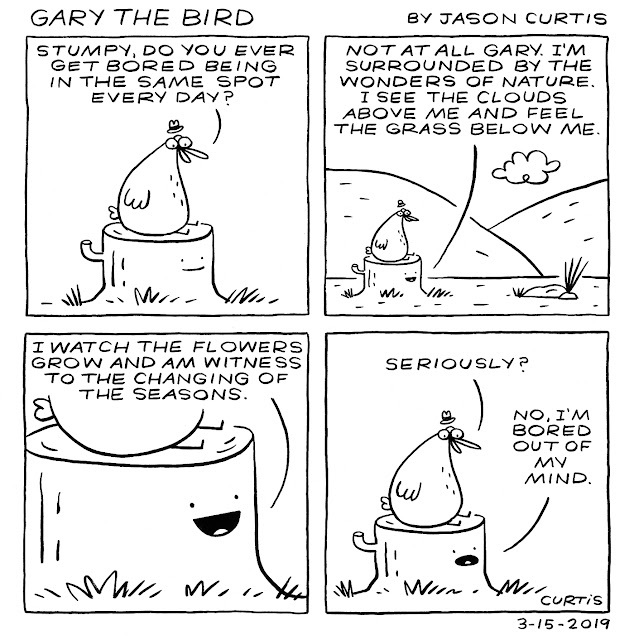 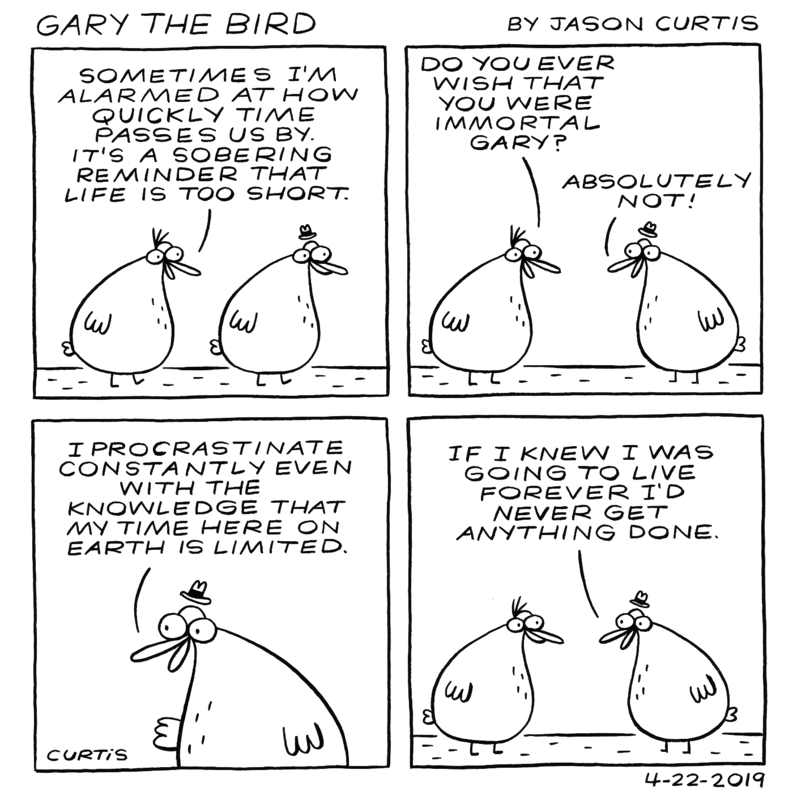 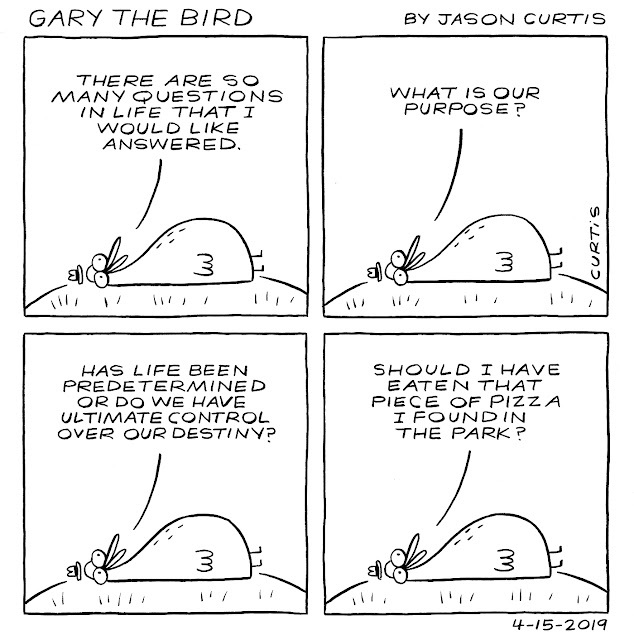 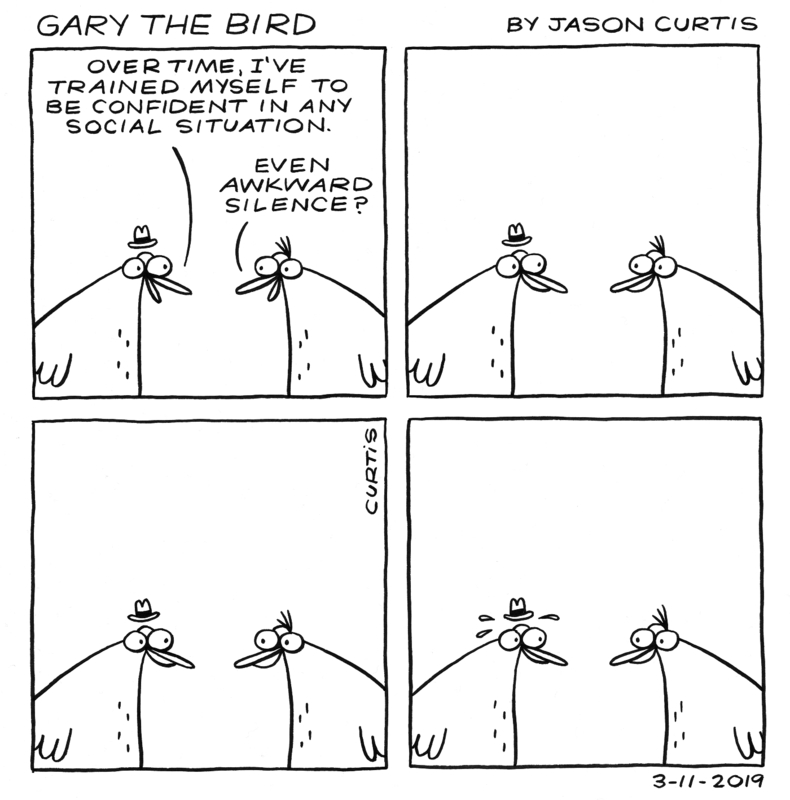 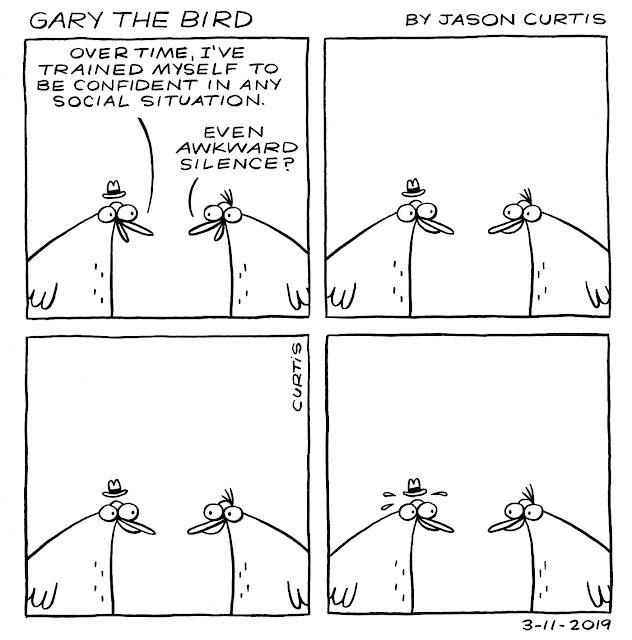 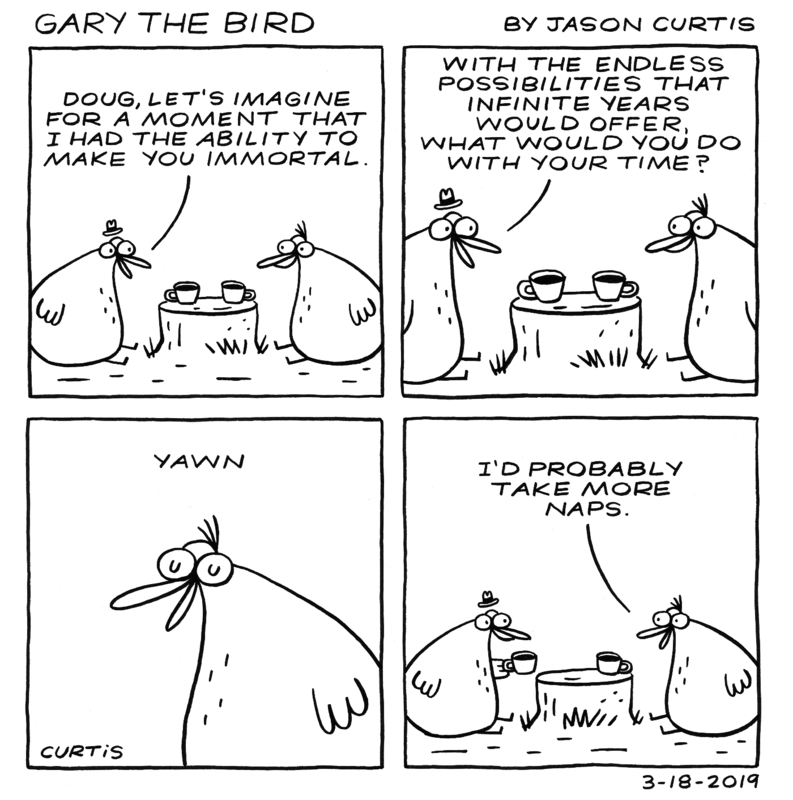 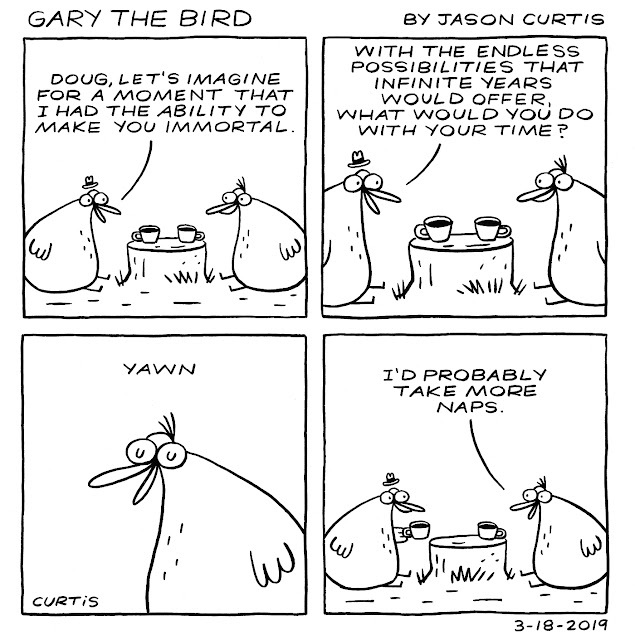 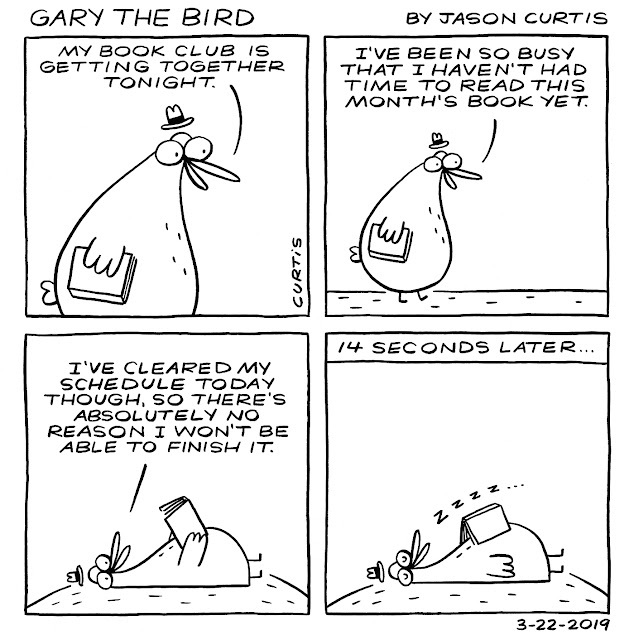 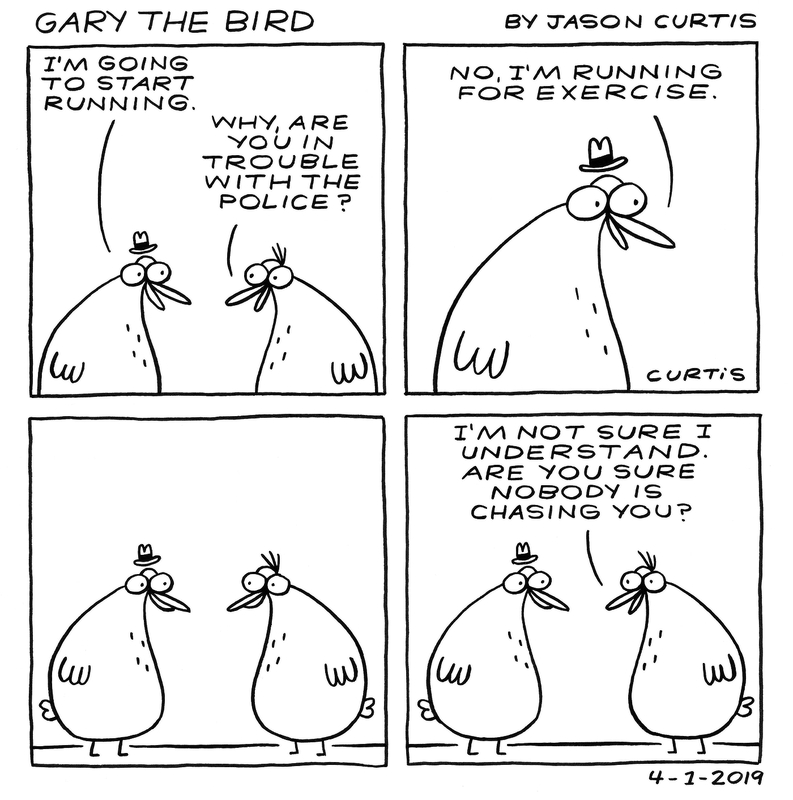 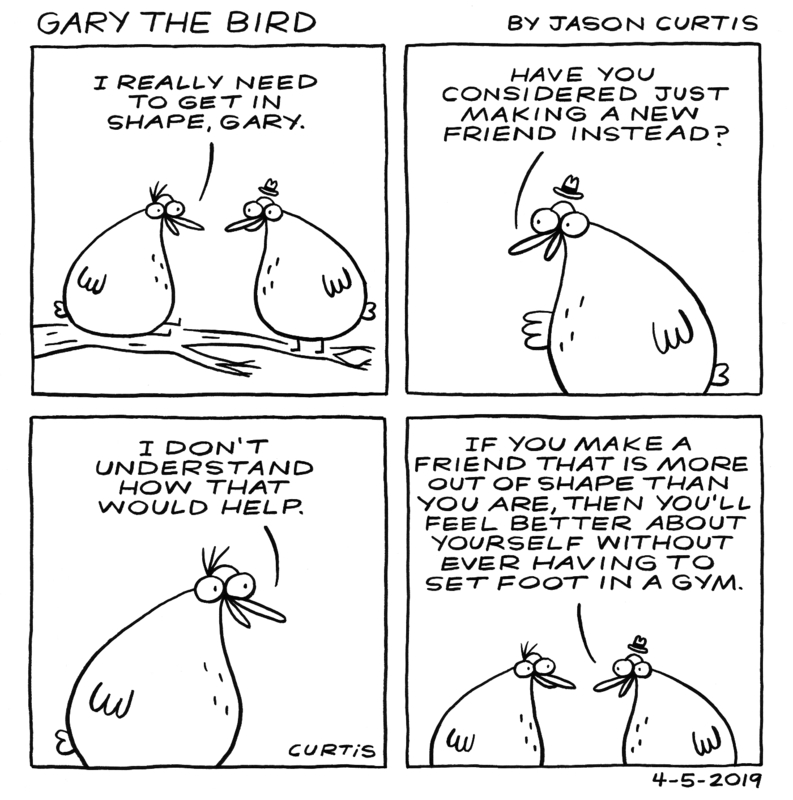 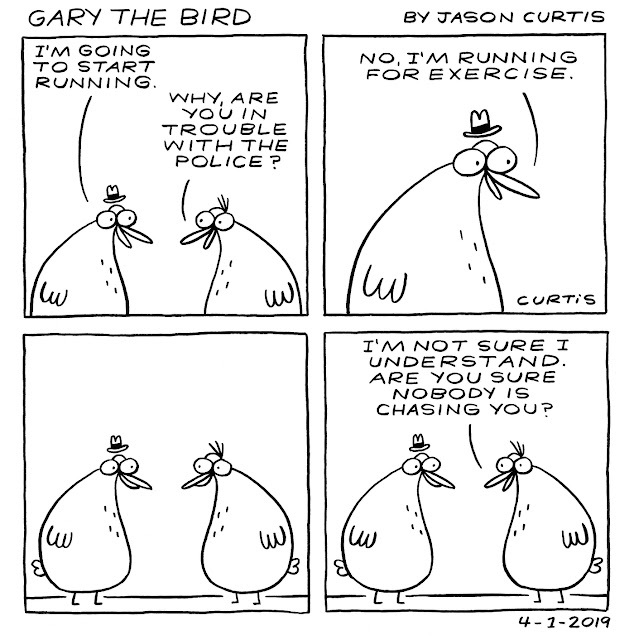 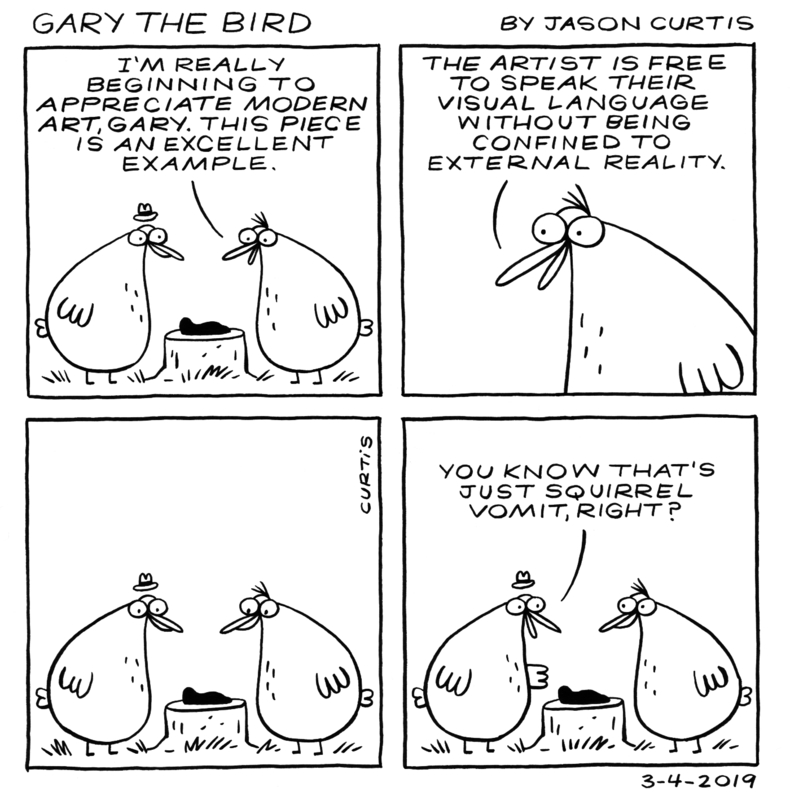 Introducing my new comic, Gary The Bird. To start, I'll be updating GTB twice a week, every Monday and Friday. 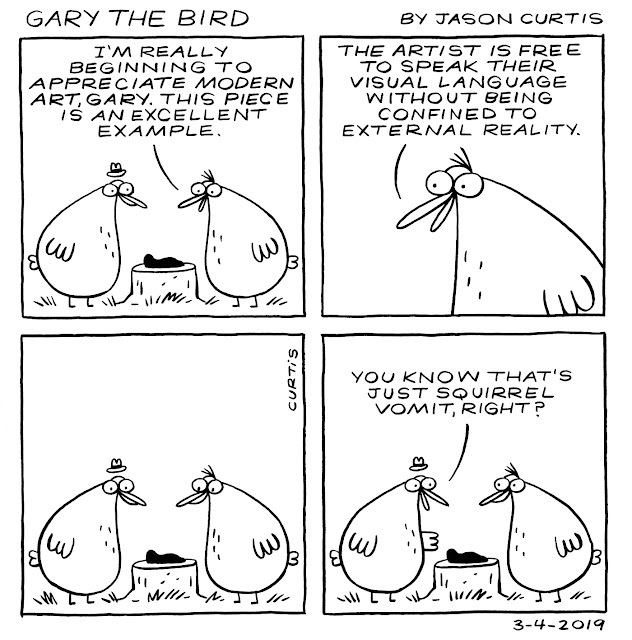 Over the coming days you'll be introduced to the cast of characters that inhabit the four panels of this comic. 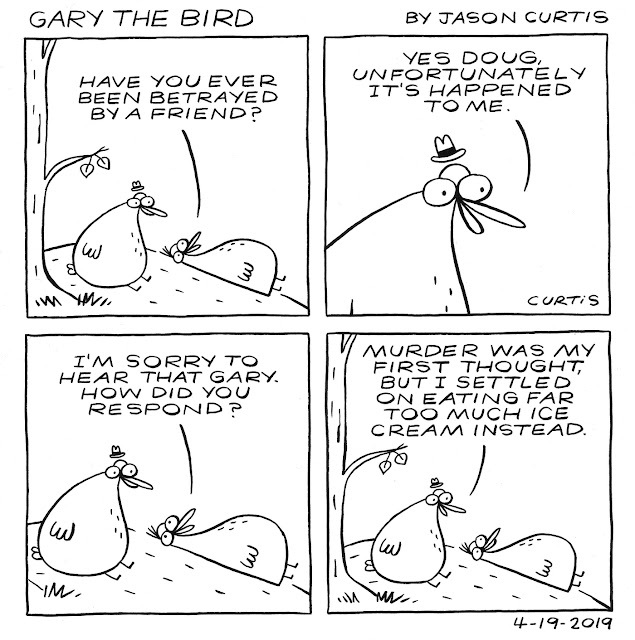 Right now though, all you need to know is that the main character is a hat wearing bird named Gary. 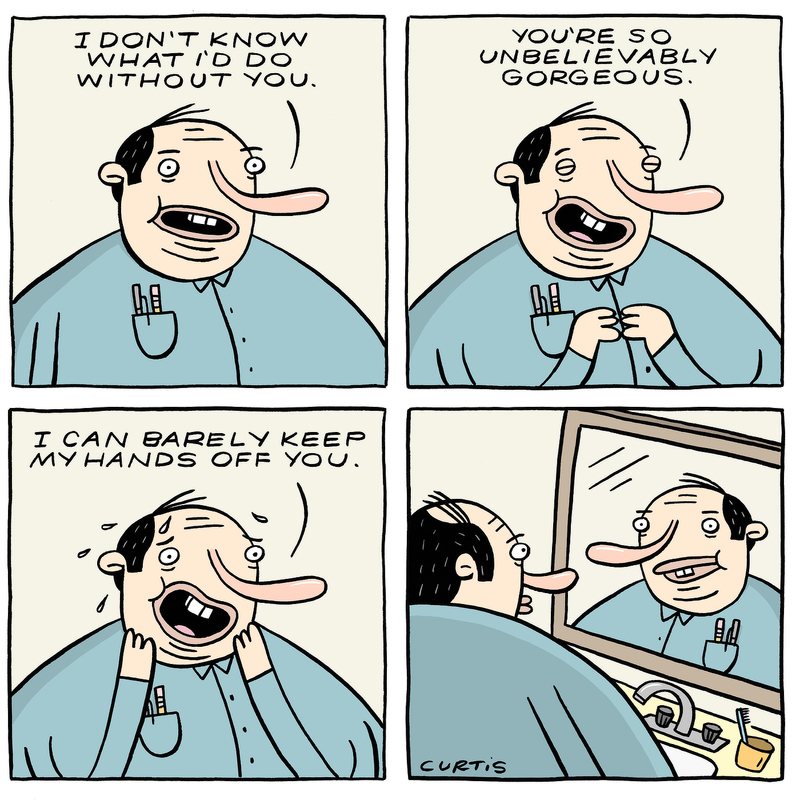 I truly hope he puts a smile on your face. 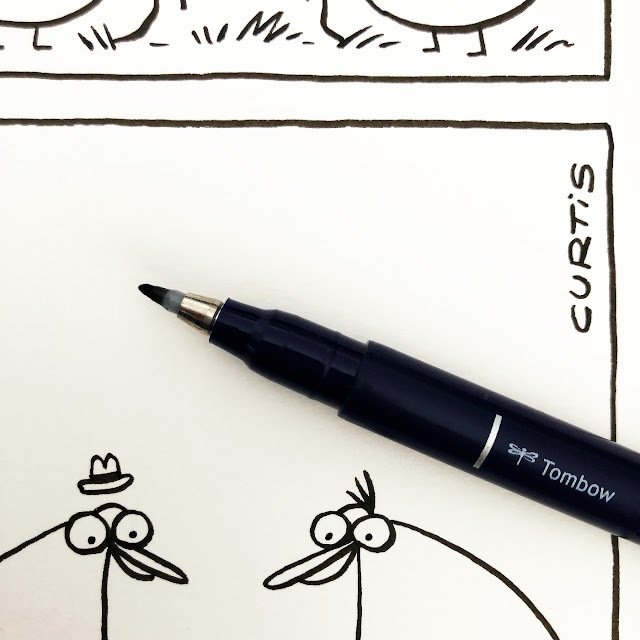 Here's a quick teaser photo of what's on my drawing table at the moment. I will possibly hopefully maybe probably be launching my new comic on Monday. It's time to just take the damn leap and figure things out as I go. I may end up plummeting to my demise, but there's also the chance that I'll grow wings and soar. 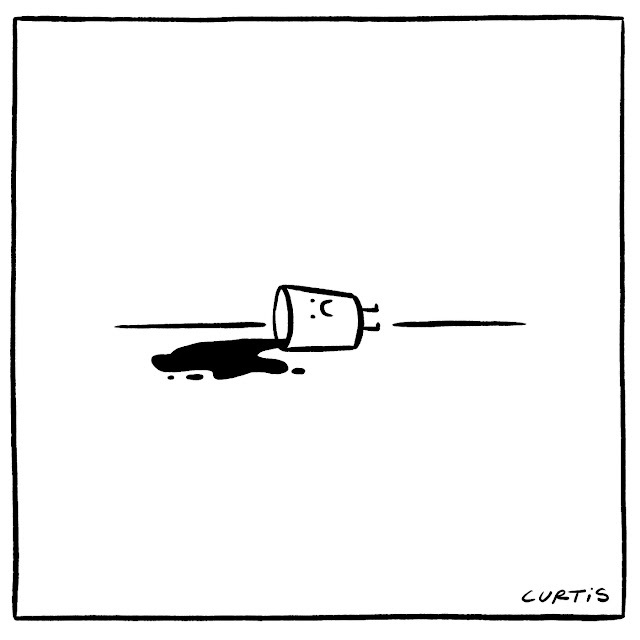 I have been out of commission for about a week...but I'll be back to regular posting soon. 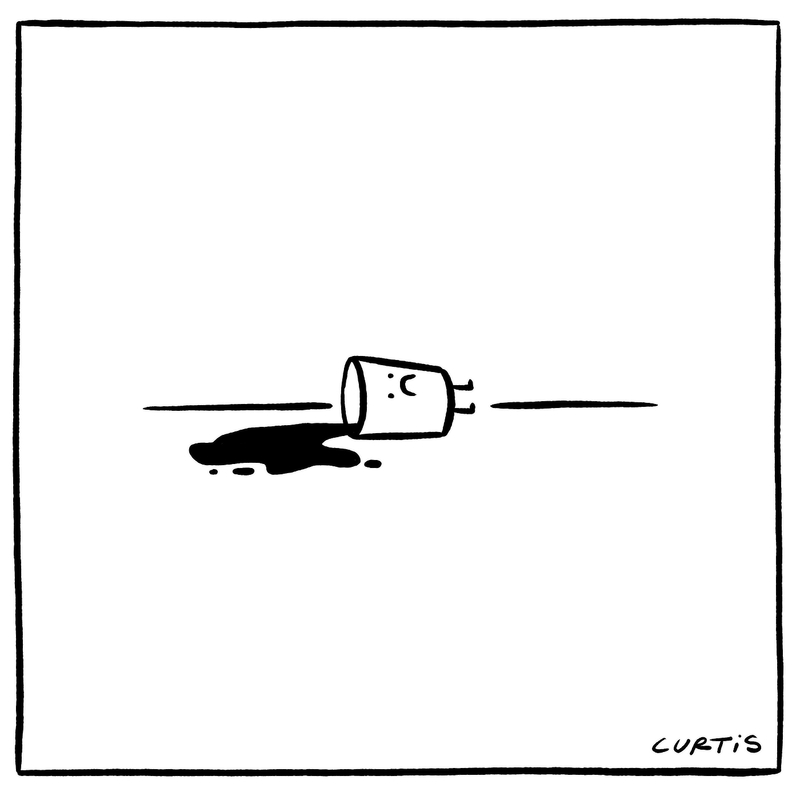 In the meantime, enjoy this drawing of a spilled cup which accurately depicts how I've been feeling. High definition can lead to low self esteem.